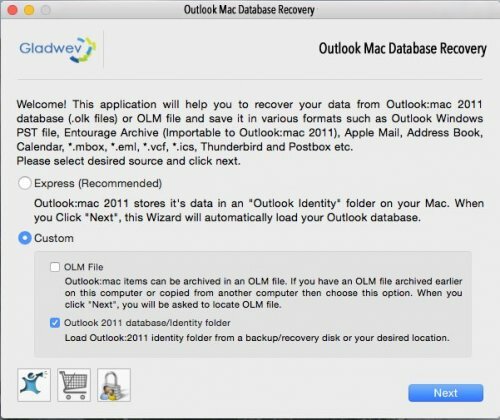 If you have lost your Outlook Mac 2015 / 2016 Mail data due to corruption or for some reason it becomes non viewable, Outlook Mac Database Recovery Tool is your go to App and professional Geek to help you out on click of few buttons. 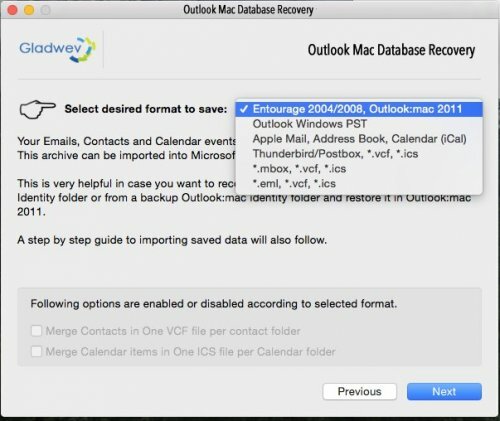 It will allow you to recover the following: emails, calendars and contacts from Outlook Mac 2015/ Outlook 2016/ office 365 for Mac, if you still have access to Outlook Mac Mail database. 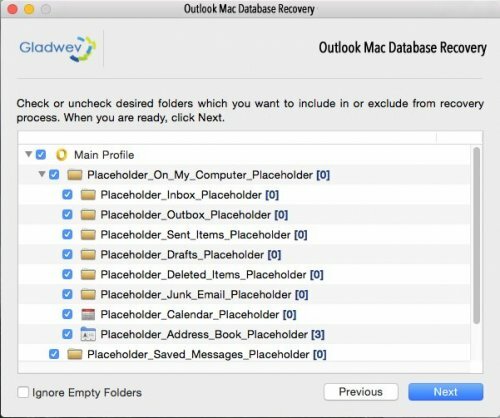 What can be done with Outlook Mac Database Recovery App? 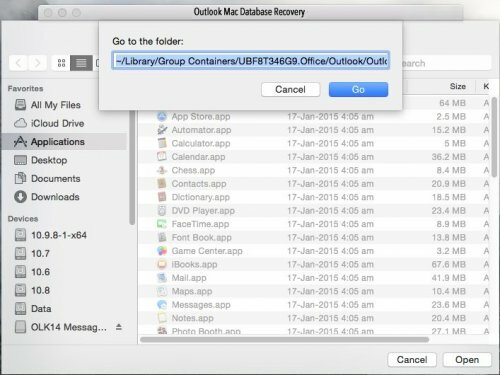 What our app does is read through the Copy of Outlook Mac Database which you have access to either via Time Machine backups or if the data is still accessible from your Documents Folder on Mac. 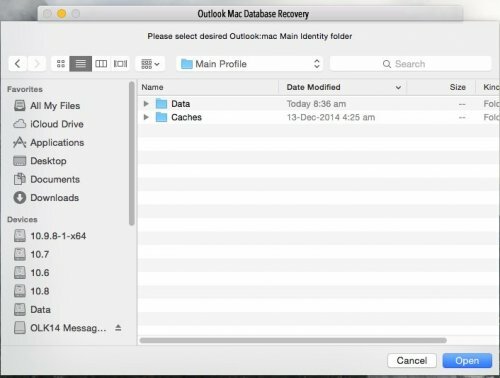 As Outlook Mac Client is not recognising this backup, there is a possibility of corruption in the database, Outlook Mac Database Recovery Tool does a deep and through scan of data which can still be salvaged and without altering or making any changes to the original data. Outputs a importable copy of data in a format of your choice. Most preferred choice is PST file format. But we do offer a variety of choices to output the salvaged data explained in next point. 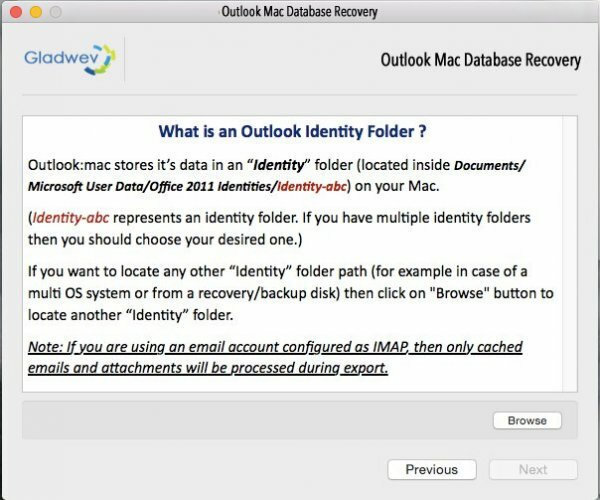 With Outlook Mac Database Recovery App you have options to output the salvaged mail data into different formats like Apple Mail Archive, MBOX, EML, Thunderbird Archive SBD file and PST, so if you are not planning on using Microsoft Outlook you have the freedom to import the salvage data to other email clients like Apple Mail or Thunderbird, Windows Outlook, Thunderbird or If you wish may just import it back into Outlook for Mac and continue using the same. We take utmost pride that we take your data very seriously and ensure its preserved to its original state to the nearest possible point. 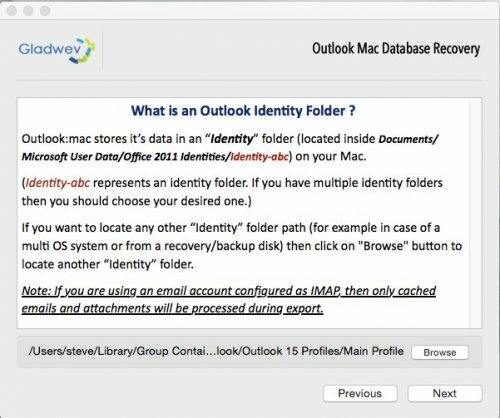 Step 4- Click Open, if Open button is not enabled then please restart your Mac once and kindly ensure Outlook for Mac is not running or launched in the Backgroud once you restart your Mac. Now try the same above step, Open button should normally get enabled after following the above work around. Step 8- On last screen you can create an output folder on your desktop with a desired and easy to remember name and save the output file.